If it were an Olympic sport, I would be the English champion of the world when it comes to sleeping. When I was a young boy, I’m told I slept through Concord flying overhead at an air show. And every time my dad took us out on the boat, I’d find a spot up front and nap as the waves lapped at the hull; the mackerel obligining climbed onto the line, and later under the grill. As a grumpy teenager, I would sleep until midday; often later. As a crabby adult, I’d stay in bed all day, if I was allowed. Karen often jokes about me being a hermit. Did you know Hermit Crabs are nocturnal? Coincidence? I think not. Days one, two, and three of our trip across Northern England via the Way of the Roses under our belts, Matt and I were finally camping in our new favourite place, Pocklington. ‘Pocky’ to those in the know. Not long ago, we’d somehow found our way back to our campsite along the darkest road ever, with only my headtorch to guide us. I’d drunkenly brushed my teeth by my tent, not wanting to try my luck searching for the toilet block in the darkness. The awkwardness of taking my shoes off, removing just the right amount of clothes, and getting into my sleeping bag without pulling my tent down or making enough noise to wake the dead made me smile to myself. A few feet away, Matt was doing something with his crisp packet Thermarest; zips were being unzipped, zips were being zipped up again. My one Achilles’ Heel when it comes to my normally super-human ability to sleep is camping. I’ve never been good at it, even as a boy scout. The last time I’d camped (again in early Spring, again with Matt), I had the world’s most useless sleeping bag, and it was COLD. This time, I had my expensive new hydrophobic down filled bag (which is AMAZING), and it was pretty mild out. But I prepared myself for a sleepless night all the same. In the morning, I complained to Matt about having not slept at all; convincing myself I’d laid awake for hours listening to Claudia Winkleman on the radio. My vision was blurred, and it felt like someone had been stood on one side of my head all night. If Matt is to be believed, I was snoring within minutes of all the fumbling and zipping. Loud enough to bother the horses in the neighbouring field, so legend has it. Maybe one of them came and kicked me in the head. It was either that, or we really had drunk that much beer the night before. The morning had dawned bright, but quickly changed to grey, and we knew from the forecast it was going to be a wet day. Our luck had run out. Still, there was only the ‘Col du Pocklington’ left before a quick bimble into Bridlington, and then the train home. We packed up, our collective tents disappearing back onto the bikes (I’m always amazed by that somehow) and we headed back into Pocky for breakfast. We spent altogether too long in a lovely cafe, watching the rain fall on our bikes. What we’d laughingly named the ‘Col du Pocklington’ lived up to a reputation we didn’t give it respect for. Those first few miles were particularly tough; made moreso by my choice to wear full waterproof gear, and Matt’s choice of pain au chocolat for breakfast. At the side of an amazing road, I cursed my waterproof trousers and slipped them off, giving the local sheep a great show. I felt much more free, and the going was much easier. The rain wasn’t too bad, and we eased into our old routine of riding side by side on deserted roads through pretty village after pretty village; right up until we took a wrong turn (totally my fault this time) and ended up on the main A166. Our next target was Driffield, and it was only 9 miles or so on what looked to be a relatively quiet road. Matt reluctantly agreed not to backtrack and we mixed with the traffic. The road surface was good, and the terrain was a mix of false flats and long rollers. I was loving it, but as we traded places at 30mph, I could tell Matt wasn’t. He tore past me and we caught up sometime later in Driffield, trading stories of HGV near misses. Nafferton was up next, and we were getting close. I was getting tired; my mind having convinced itself we were practically home after taking care of the Col. We were close, but not that close. The roads were still great, and the weather wasn’t bad. We even encountered a considerate BMW driver who made an effort to pull off the road and let us ride through. Miracles do happen. Finally, we were into the outskirts of Bridlington, and the finish line was (almost) in sight. The final streets seemingly taking us through every single part of Bridlington just kept coming. We caught a glimpse of the sea. We were achingly close, and I was running on a mixture of adrenalin and lemon flavour energy drink. Matt, the consummate gentleman, waved me ahead to the finish line on the promenade, as old people strolled by in their scarves and hats, looking at us like we must be mad. The Garmin said we’d done 181 miles in total, a little over the advertised 170. We wanted to sit and look at the sea we’d come so far for. We wanted time to reflect, to tell stories. We wanted to remember the descent into Malham, the Contadoring, the laughing, the freedom, the noises the bikes made. We wanted fish and chips, dammit. 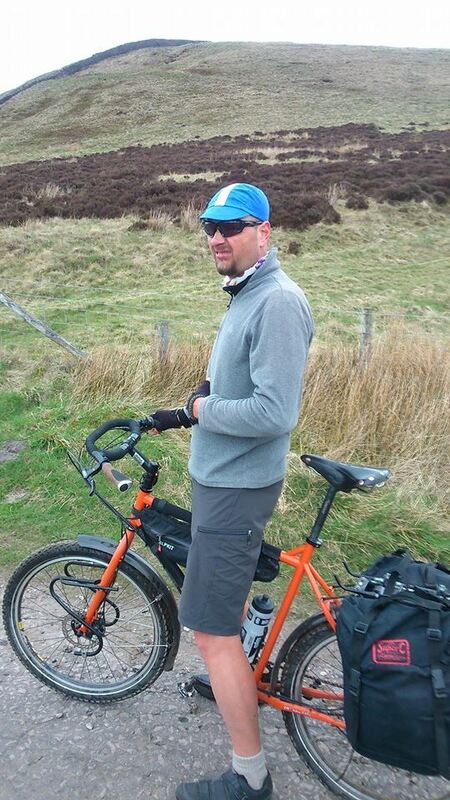 We also wanted to ride home; either the way we’d come, or down to Hornsea and back via the Trans Pennine Trail. But we both knew the weather wasn’t going to cooperate. We needed to find the train station, sharpish. Somehow, we managed to get there, buy tickets, and sweet talk the train guards into letting us take the bikes on without reservations with moments to spare. The scenery that had been our constant companion flashed by through the rain-streaked windows, and we were once again glum. We feasted on a pork pie I’d bought in Pocky, and a packet of fig rolls I’d carried from Manchester. We said our goodbyes and returned to stupid real life. Oh, and I still have that Ashima brake disc on the Troll. It got me 10 miles. It got me to the end. It got me home. Much love Moonglu, much love. Until the next time, my friend. I’m sure I’ve previously written about those little moments of pure nirvana I sometimes experience when I’m on the bike. I had more than a few of those moments when I rode the Way of the Roses with Matt in April 2017. Day 3 of our trip was, somehow, even better than the previous two days. And, hey, they weren’t too shabby! In the eerie deserted pool room of our pub / B&B, I flipped the Troll over and finally swapped out my front brake disc. Slotting a new set of pads in, Matt and I remarked on how much meat was still left on the old pads, and the apparently relatively good condition of the disc. On closer inspection, we discovered the friction material on the pads had crazed, which was presumably what was causing the shuddering. How close I was to disaster, we’ll thankfully never know. Our enthusiastic host (and an equally excitable dog) appeared, and soon we were destroying the biggest breakfast in the world. Truly, it was something else. Setting off, the wet roads told of the overnight wintery downpours we’d staggered home in. The skies were looking kind, and the sun tentatively poked out, taking the chill off the morning air as we headed South-West towards York. Quickly back onto amazing country lanes, we were back to riding side by side, listening to my gratis brake disc chirruping away, and sharing fond memories of friends and loved ones we’d lost. We barrelled across a surprisingly bumpy toll bridge (yet another freebie), and before too long, we found ourselves entering yet another grand park which turned out to be home to Beningbrough Hall. I couldn’t resist taking a closer look. The sun was shining down on us in these beautiful surroundings, the birds were singing, our spirits were high, and it’d been a good couple of hours since breakfast. Time for coffee and cake with the rich people. As we sat sipping our overpriced coffees, pinkies in the air, Matt regaled me the tale of an eccentric old woman he’d scared half to death when she ran into him by the loos. I suppose you had to be there, but that had us in stitches for ages. We resumed course for York, ticking off seemingly endless picture-postcard villages. The two attractive women sat outside the pub caught my attention, but I rode on regardless. Matt was weaker than I, and stopped to talk to them. By the time I’d turned around, he’d whipped his camera out and was taking pictures of them. He seemed strangely unconcerned, and we pedalled away with him complaining about their lack of response to his ‘epic’ chat-up lines. 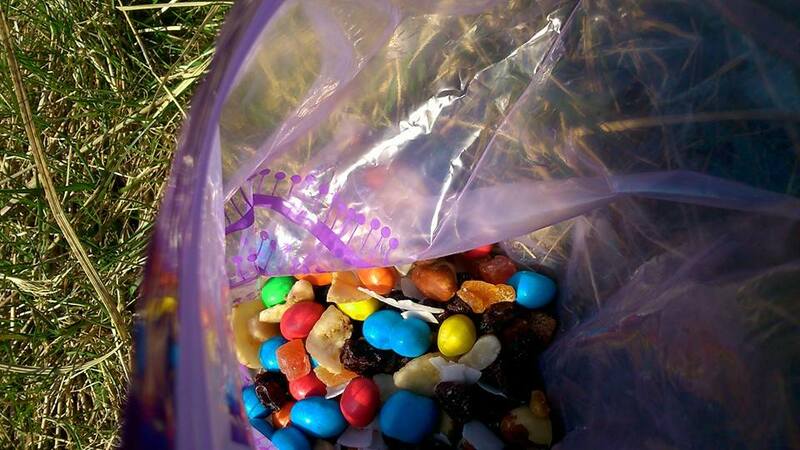 In York, we stopped for a quick bit of bike-balancing magic, some sightseeing, and a few handfuls of Matt’s Special Trailmix. Now, the last time we’d cycled out of York, we got horribly lost, having taken a wrong turn down one of the tiny winding streets. This time was no different, and we were spat out onto a 3 lane roundabout, heading in completely the wrong direction. Probably had too many blue M&M’s. The going had been good, the terrain having flattened out, and the temperature had risen several degress on the previous couple of days. We ate up the miles, and drank in the views as the route took a rare off-road diversion. Talk moved to our objective for the day as we did the maths on the remaining miles. We’d left the return trip open, with plenty of work-free days still ahead of us. I think we both would’ve liked to ride back home, but the weather forecast for the following several days was solid rain, so we reluctantly planned on getting the train back from Bridlington. Arriving in the delightful little town of Pocklington, we enjoyed a leisurely late lunch and debated next steps. Matt wanted to push on to Driffield, leaving us a handful of wet miles to Bridlington, and the train home. I was tiring however, and the ‘Col du Pocklington’ stood between us and Driffield; no matter how innocuous the map made it look. The cafe owners told us about a local campsite that had recently opened. I bought 2 gigantic scotch eggs and a pork pie for the road, and we searched it out. We were shown around the basic, but perfectly good, ameneties, and charged a full fiver each to pitch our tents on the field we had almost to ourselves. I sheltered my tent out of the strong winds behind an unoccupied caravan, and we deposited the bikes in what our fabulous Yorkshireman of a host described as his ‘shed’. It was actually one of the biggest barns I’ve ever seen, and was filled with everything from a mobility scooter to a 50 foot trailer covered in hay bales. We listened with pure delight as he talked about Pocky ‘igh stree’, with its collection of pubs and restaurants. Forgetting the name of the indian restaurant he actually did recommend, he drew us a map with his finger on a scrap piece of plywood he found on the floor. Because, without that, we wouldn’t have been able to find the place. We decided against taking the map with us, and found our way into several pubs where we laughed our heads off before eventually finally finding our way to the indian. We ate too much. We drank too much. We stumbled back to the campsite in the utter darkness you only get in the countryside. We almost tripped on the map, and no doubt annoyed the miserable guy in the camper whose peace we had shattered by daring to share the field. I slithered into my excellent sleeping bag and tried to get off to sleep. Everything about it was perfect. Somebody was looking after us that day. A kiss from a rose, indeed. My belly full of great food and great beer, my head full of great memories from day one of our Way of the Roses trip; at some point in the wee small hours I had to peel myself out of my sleeping bag, which I’d rolled out onto my YHA bunk bed in some kind of protest to the freezing wind outside that’d spoiled our camping plans. Like the exploded diagram of the inner workings of a Sturmey Archer hub, equations calculated in quantum physics, and how they put those little plastic things on the end of your laces; temperature ratings on sleeping bags have long been an utter mystery to me. My OEX Helios EV Hydrodown 300 Sleeping Bag has a ‘comfort temperature’ of 3°C. The ‘limit temperature’ is -3°C, and the ‘extreme temperature’ is -19°C. All I know is, it was far too good to use in a nice warm youth hostel bedroom; very much unlike every other sleeping bag I’ve ever owned. Opening the curtains to blue skies and sunshine, we didn’t linger too long at the breakfast buffet. It was a cold and crisp morning, and the previous day’s abuse was all too apparent in the awful noises my brakes were making. I’d brought along spare pads, but not spare discs; a trip to the nearest bike shop was in order. 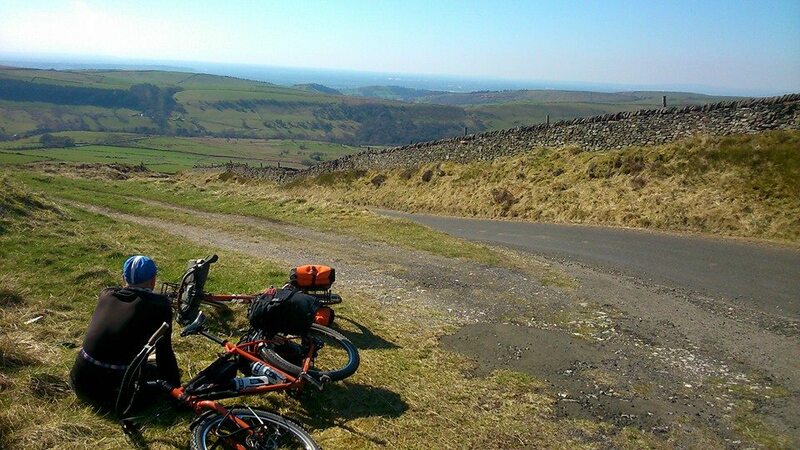 But first, a whole load of climbing and descending awaited in what remained of the Yorkshire Dales. Matt was still Contadoring, whilst I was content to sit and grind out the climbs. You get to see more of the scenery and wildlife that way. The less said about the descents in this section, the better. Let’s just say I wasn’t using my brakes very much at all. The roads were mercifully quiet, which helped immensely. 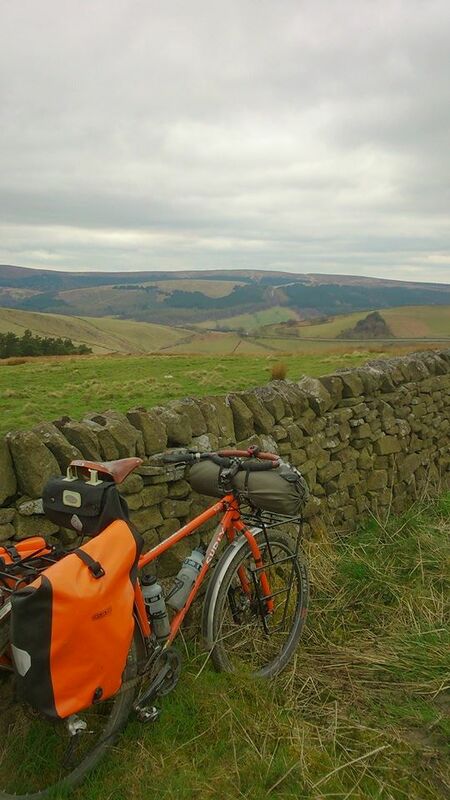 It wasn’t until we had left the Yorkshire Dales National Park, and entered Nidderdale, that we approached anywhere with the potential to have a bike shop. And, wouldn’t you know it, there was a descent to rival that into Malham to tackle first. This one actually had a number of oversized road signs specifically warning cyclists of the length, gradient and sharp turns to come. One can only assume people have come unstuck here in the past. With minor trepidation, I did the only thing I knew how to do: I put my bike in the centre of the lane, and went for it. At least this was a two-lane road, with dividing lines, and crash barriers in all the right places. The switchbacks came thick and fast, just as promised, and my Garmin later reported I was again pushing 40mph at times. There was one moment when, cresting a mid-corner camber change, the whole bike became weightless and I was completely out of control. In that split-second, I thought it was all over, but the tyres grabbed hold once more, and we arrived in Pateley Bridge; shaken, but not interred. We wandered around town, in search of new brakes, and lunch. We found the latter in the form of slightly disappointing chicken soup and lashing of Yorkshire Tea. The former would, again, have to wait. Matt’s excellent Sustrans map suggested the next available bike shop was in Ripon, so we made that our objective for the day. We were soon back onto fabulously deserted lanes, and the weather, whilst chilly and grey, remained dry. Riding side by side, we discussed everything and nothing; sometimes saying nothing at all, lost in our own thoughts. At some point, we managed to take a wrong turn. It was likely our fault, as the entire route is so thoroughly signed. As it was, we’d started heading for Ripley, not Ripon. Matt was furious with himself for making such a schoolboy error, but I was in front when we turned right instead of left. As we retraced our wheel tracks, that pursuing gigantic black cloud filled the sky and released its vengeance with horizontal hail blinding us, making forward progress impossible. Perhaps god had been napping before, and now was smiting us for sneaking into his house back in Wray. No, wait. He’s fictional. Maybe it was just a hailstorm. Anyway. The road was lined only with ditches, and nowhere safe to stop. Traffic (where the hell had that come from???) was lining up behind us as we weaved blindly across the road. Finally, a driveway came into view and I ducked behind the relative safety of a garage wall. Matt’s uncharacteristic sense of humour failure was quite spectacular, and I couldn’t help but chuckle. Sorry, but it was funny. You should’ve seen him trying to put his gloves back on. As quick as it started, the hail stopped and we soon found ourselves pulling into the rather grand Studley Royal Deer Park. (Note the 20mph limit). Much joviality followed as we barrelled down that arrow-straight road, chasing the horizon, letting the sun defrost our fingers. Ripon was within touching distance, and I was feeling really positive about it, given our grand surroundings. Matt was however recalling being there once before, and not finding it the nicest place on the planet. Since Morecambe, it was the biggest place we’d been to, and I was just happy to know there wasn’t one, but two, bike shops in town to choose from. Earlier in the day, we’d again checked the weather forecast and made the decision not to camp. We were welcomed with open arms, and the bikes took over the pool room! Our twin room was clean and functional, if a little pricey, and we set off once more in search of brakes. The nice lady at our B&B recommended a shop called Moonglu, which was full of nice things. I instantly knew we’d come to the right place. As soon as I asked for a 203mm, 6-bolt brake disc rotor, the guy went straight for the parts box out back. After much rummaging, he didn’t find one. A final check of the new stock hanging on the wall confirmed our worst fears; they didn’t have one. A bit more rummaging in a few more places, and he pulled out an old Ashima brake disc they’d had “for years”. He refused to take any money for it. Much love, Moonglu. Much love. We spent the night in traditional fashion, drinking great beer, eating great food, and setting the world to rights, like only two drunk friends can. Staggering back to our B&B above a pub, we fully expected the place to be full of revellers, but it was in darkness. All locked up, well before closing time. We let ourselves in with the key we’d been given, and crept upstairs; nervously joking about being murdered in our beds. Would we live to see day 3…? Written on the bike, it says “Surly”. The eyes seem to say “crazy”. The beardy certainly says “weirdy”. Small wonder, then, I should be proclaimed: “Jesus. It’s JESUS!” by the neanderthals who joined my Friday afternoon train home, all those years ago. As the journey went on, so did the drinking of my raucous, but good humoured, new subjects. Eventually, the conversation turned to intellectual matters, specifically what the letters HB on a pencil stood for. Those in the immediate vicinity of the neanderthals didn’t know, and neither did the conductor. I knew. But I wasn’t going to reveal that. The conductor went about his business, checking tickets and so forth throughout the train, until finally he came over the tannoy system to pose the pencil question to all passengers. Clearly I was the only person on board to possess such powerful knowledge (and facial hair). Tentatively, I peeked around from my chair and raised my hand. “JESUS! JESUS KNOWS THE ANSWER!! !”, the lead neanderthal proclaimed, pointing at me with sheer delight in his eyes. Just this morning, after performing a minor miracle with 2 slices of bread and some eggs (I didn’t fancy fish for breakfast), I took off on the bike to explore a new route. As I was riding through the park, I came across a group of 6 or 7 knuckle-draggers riding identical bikes. Isn’t evolution wonderful? I still haven’t figured out what the identical bikes were all about, but as I was making my way through the pack, the questions came thick and fast. Sometimes, it’s hard being the messiah. I made my polite excuses, and showed them how fast I can go on that, much to their increasingly distant delight. As it turns out, I’ve ridden large portions of this route before, purely by accident. But now I can at least piece together a nice 30ish mile route up to one of the places my girlfriend sells her cakes on a local farmers’ market. After grabbing myself a coffee and a delighfully-bad-for-you cheese pastry thing from the excellent French bakery stall next door, I headed for home, pretty much retracing the same route back, only minus all the wrong turns my drunk GPS took me down on the way. Rolling through the park close to home, I was so busy trying to not run over dogs and small children that I hardly noticed my flock coming around the corner on their matching steeds. I couldn’t help but smile at the cacophony of recognition as I passed them again on my way home. But wait. I’d been gone for at least 2 hours, and they were still doing circuits around the local country park? On their matching bikes? As I’ve been typing this, a possibility has struck me. You see, near our local country park, there’s a small prison. I wonder if maybe they were actually (presumably very well behaved, and trustworthy) offenders out on an organised bike ride with a couple of prison officers? Maybe they were. And maybe their delight was brought about by the correctional powers of cycling. Maybe it was the beautiful early spring sunshine warming their hearts, as it warmed their backs. Maybe it was. But maybe, just maybe, they were so delighted because JESUS recognised them?